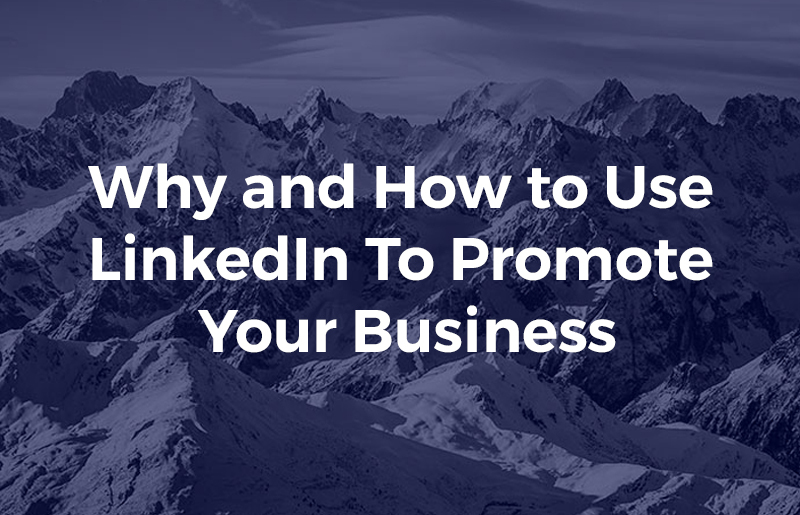 LinkedIn is the social media platform for business professionals and, as such, it’s the ideal place for B2B businesses to promote their brand. In this post, we’ll discuss why B2B businesses should use LinkedIn and explain the ways you can use it to benefit your company. With 21 million UK users and half a billion users worldwide, LinkedIn is the preeminent social media platform for the business community. What makes it ideal for B2B businesses is that it is a serious platform. Users don’t go on LinkedIn to watch funny videos, post photos of nights out and look at memes, they go there to read helpful posts, recruit staff and to promote themselves and the businesses they work for. They also use linked in to find companies that can help them: contractors, suppliers, developers, consultants, etc. If you’re a business whose customers are other businesses, LinkedIn is the most useful social media platform, by far. With the average member having 400 connections, it gives you ample opportunity to reach out to potential customers, develop a following and build brand awareness. Over half the businesses on LinkedIn have used the platform to generate sales. You can use LinkedIn to inform other companies about the work you do through its Showcase Pages. These have been created so you can promote important elements of your business, e.g. new initiatives, products or services, to a targeted LinkedIn audience. As with other social media platforms, LinkedIn lets you publish your website URLs and enables other members to contact you directly. You can direct traffic from your company profile to specially created landing pages on your website, enabling LinkedIn members to find out more detailed information and to generate leads. Over 95% of companies who use LinkedIn publish content on the channel. This makes it very easy for businesses to use the platform for competitor analyses. If you follow your main competitors, you’ll get to see what things they publish, what new things they are doing, and which content get the best response. It also lets you find out who follows them and which groups they have subscribed to. LinkedIn is a leading platform for recruitment. In January 2017, there were 10 million jobs listed on the site. It is used by millions of people to find posts and by many recruitment companies and private businesses. If you are looking to recruit highly talented employees to work in your company, then LinkedIn is a great place to find them. The majority of users post their work experience on their profiles and this enables you to find people with the exact experience and qualifications you are looking for. As a high authority website, any links from LinkedIn to your own website will help it rank higher on Google and other search engines. You can achieve this by linking to your site on your business page and by embedding links in any content you post. You may even find that your company’s LinkedIn page begins to rank in search engine results, too. If you are planning to set up a LinkedIn account for your business, there are a number of prerequisites which need to be achieved first. You’ll need to have a personal profile before you can set up a business profile. You must list your job at your company as your current position in your personal profile. You’ll need an email address containing your business’ domain name, for example, you@yourcomapny.com. Your LinkedIn personal profile needs a minimum profile strength of intermediate and you must have connected with other individuals. Once you have completed the above prerequisites, you can start to create your company profile. For detailed information on how to do this, watch the following video. If you are going to draw attention to your company on LinkedIn, it is important to post content on the platform. Publishing infographics, videos and informative articles where you share your company’s expertise or ideas is a great way to get noticed and to get your posts shared to even wider audiences. To establish your business quickly, you should post content on a regular basis and make sure that what you do post is relevant to those companies whose business you are trying to attract. As with all social media platforms, don’t just promote your products and services, instead, offer content that is interesting and engaging. LinkedIn is the ideal social media platform for B2B businesses. From reading this post, you should now be able to set up a LinkedIn business page, know what types of content to publish, understand how to promote your company using a Showcase Page and be aware of the many ways LinkedIn can benefit your business. If you are looking for expert help with setting up and running a social media strategy, get in touch.